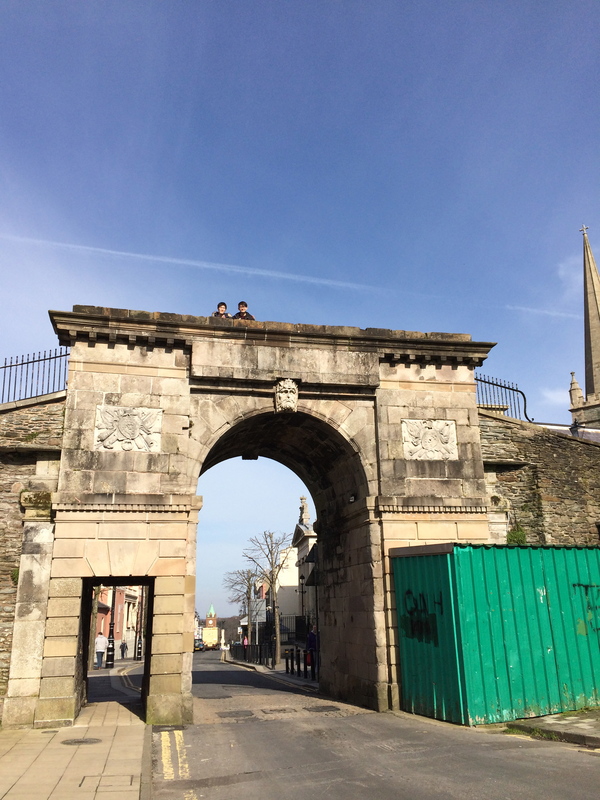 One of the issues being looked at by the architecture students from Queen’s University SPACE is the presentation of the most stunning gate in the Derry Walls – Bishop Gate. 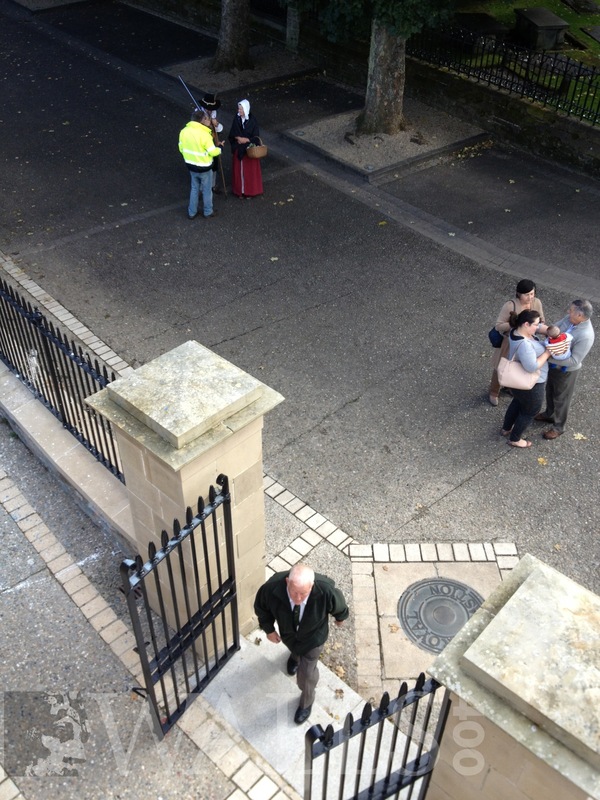 The original gate was replaced in 1789 by the present structure – Derry’s Arc de Triomph. The gate’s design was commissioned by the Earl Bishop, Frederick Hervey, 4th Earl of Bristol and Bishop of Derry. The Irish architect was Henry Aaron Baker, with the sculpted heads representing the gods of River Foyle (without) and the River Boyne (within) designed by Irish sculptor, Edward Smyth, who had sculptured the thirteen riverine heads on the Dublin Custom House in c.1784. The foundation stone was laid on the 12th August 1789 on the centenary of the Breaking of the Boom and the Relief of Derry in a ceremony led by the Anglican Bishop Hervey, the Catholic Bishop McDevitt and the Presbyterian Minister Black. During the Troubles, Bishop’s Gate was used as a security feature with blast-proof metal gates installed and an army observation post on top. 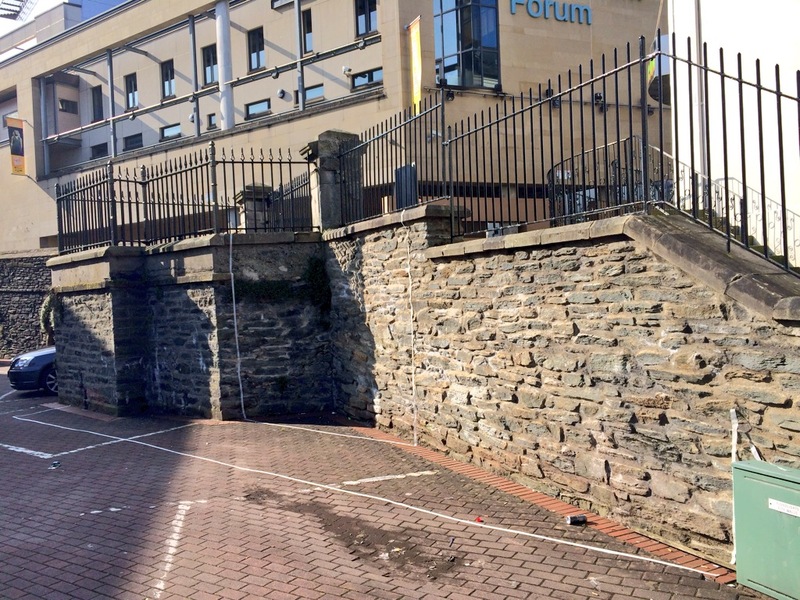 Since then, the Gate has become part of Derry’s “peace wall”, separating the communities of the Fountain, Long Tower and Bogside. 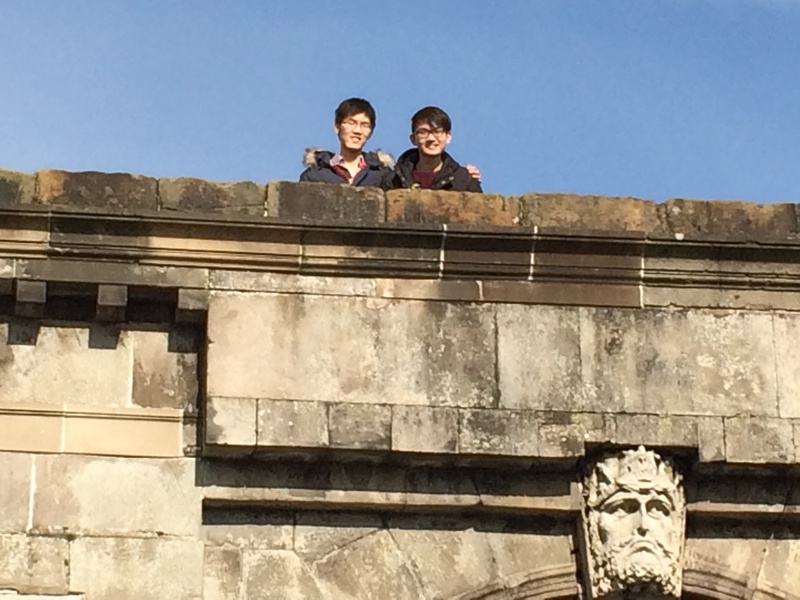 The Street Society students are looking at opportunities to better present Bishop Gate, making it an essential backdrop for any souvenir photograph for visitors and a pleasant spot for citizens to pause to take in the best of Irish architecture and sculpture. What is QUB’s Street Society? Street Society at Queen’s University Belfast (QUB) is an initiative of the School of Planning, Architecture and Civil Engineering (SPACE) It tries to bring energy and innovative design thinking to a variety of real issues and clients, all within the space of a single week. 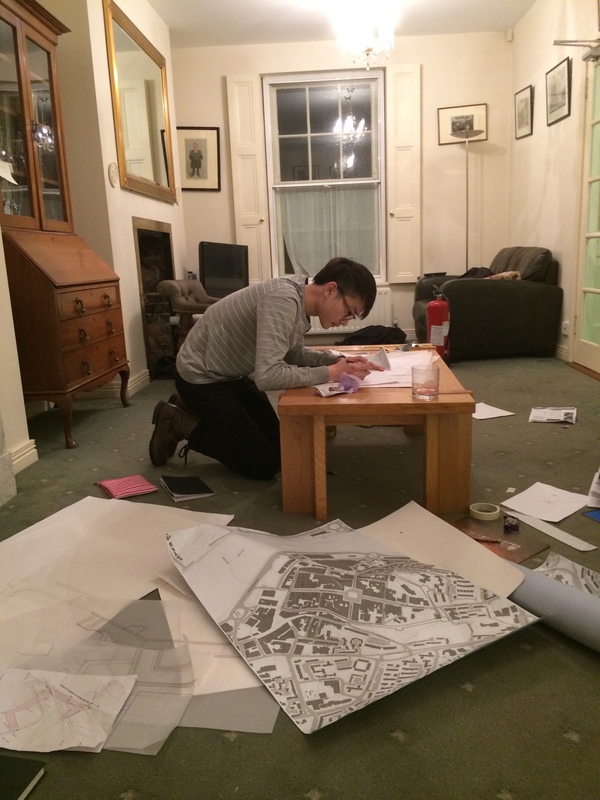 Holywell Trust’s City Walls Heritage Project is pleased to be hosting a group of first year undergraduate and master’s architecture students, in a one-week design research office, focusing on opportunities to “re-make” Derry’s Walls as a community asset rather than a symbol of conflict. What design problems will the students look at? i. A design solution for community access to and from the Fountain Estate which replaces the “Dog’s Leg”, a structure which mars the 18th C triumphal arch of Bishop Gate. ii. 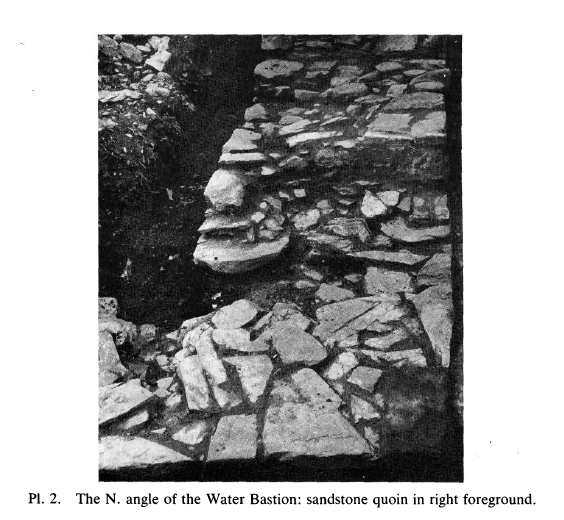 A design solution for Water Bastion area, at the entrance to the Central Library, in an area frequented by large numbers of teenagers, but where the heritage of the missing bastion is hidden and the open space near the Walls is railed off. iii. A design solution for the use Plinth of Walker’s Pillar on Royal Bastion, as viewing platform for visitors and as a stage for events held on Nailors’ Row outside the Walls. iv. 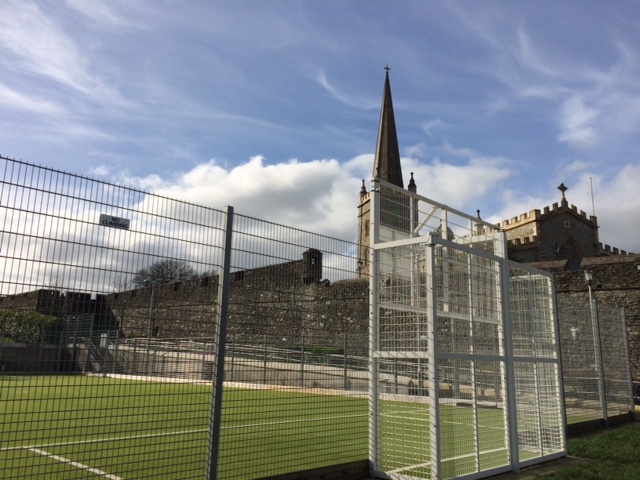 A design solution for the development and management of the open spaces created outside the Walls from New Gate past Bishop Gate to Butcher Gate: better communicating the heritage of the dry moat which was until the 19th C the main feature; encouraging community use of these open spaces in a way which re-enages the communities of the Fountain, Long Tower and Bogside with the City Walls but also in a way which meets community needs without detracting from the near views of the City Walls. 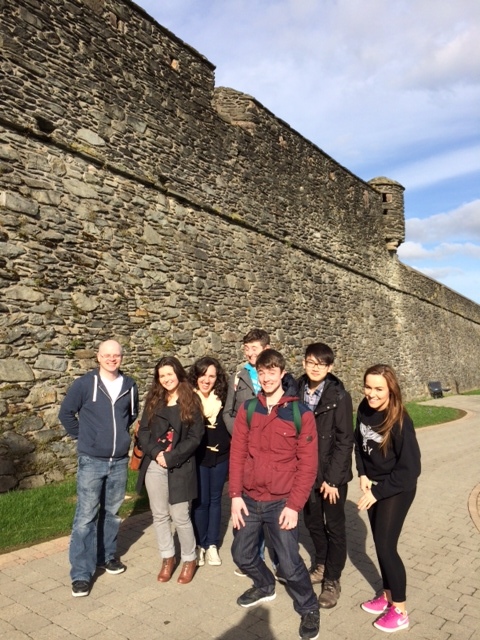 During Day 1 the QUB students received a general tour of the Walls to better understand their design and construction as piece of 17th Century military hardware and to look at how the Walls were being used and managed in the 21st Century. Early tomorrow morning they will review the list of potential issues and will decide if design solutions can be provided for all four issues within just one week. 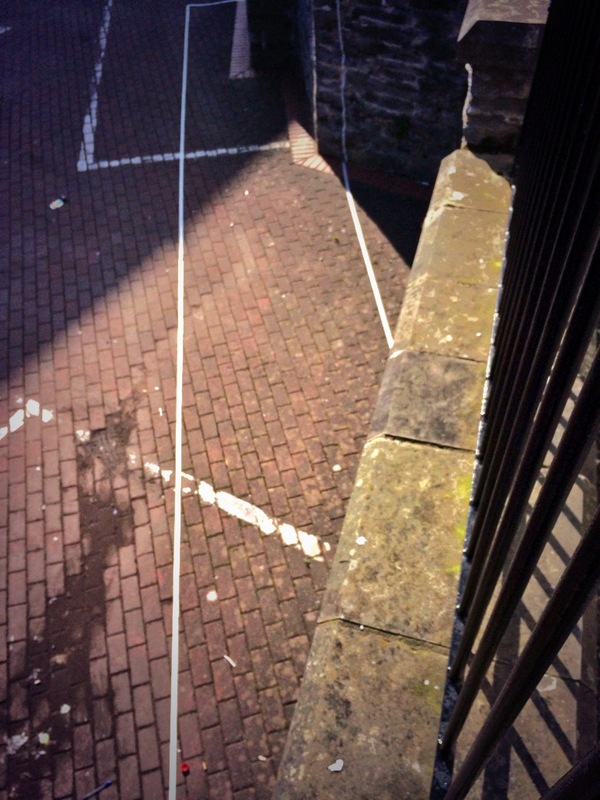 The Holywell Trust’s City Walls Heritage Project is working with the Nerve Centre’s Teaching Divided Histories and Public Image – Events to create a light installation on the Plinth on Royal Bastion on the City Walls. Entitled ‘the Empty Plinth’ the artwork is part of the four day Lumiere Festival of Light in Derry from 28th November to 1st December. The emptiness of the Plinth will be be filled with a simple, pure beam of white light. This week’s light installation is the first of the series of artworks planned for 2013/4 to bring the Plinth and Bastion alive, reclaiming these contested spaces for everyone in Derry. For more information click here.